"Give it a TRY" for the Assura Challenge! Wednesday, 22nd July saw Salford Red Devils Foundation head to the Pitch @ Media City UK for the ‘Assura Challenge’. Businesses were invited to MediaCity, Salford Quays, to take part in a brilliant Play Touch Rugby league event. Assura challenged some of the North West’s largest companies to take part in the tournament to raise funds. The money raised will be used to give vital, life-changing support to communities around Salford, Manchester and Warrington. The event was a resounding success and all involved enjoyed the day, having a fantastic time raising awareness and raising money in the local community! 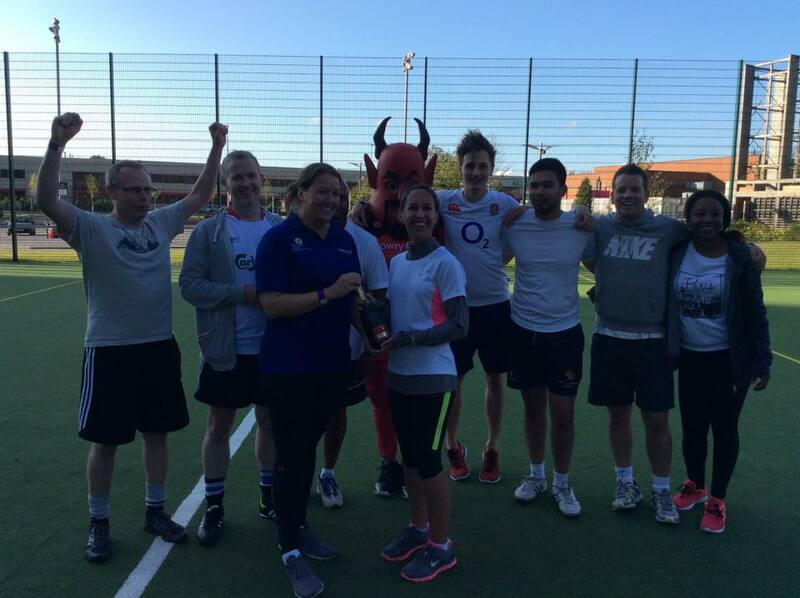 The winning team – PwC UK (B-Team) – came out on top with an impressive 4-2 victory! The Foundation would like to say a huge well done to everybody involved. A special thanks to all businesses that came down to event! Please keep your eyes peeled for any further events. Follow us on Twitter @SRDFoundation or get in touch on 0161 786 1591 for any more information. Please also see www.assuragroup.co.uk for more information on Assura and the work they do.